The best natural skincare routine for teens and tweens..... EVER! 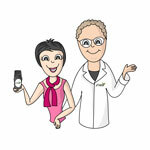 Getting aneasy,healthyskincare regime down pat is paramount and can start teaching some great habits nice and early. Did you know … we now have a sample pack just for teen skin! Our sample pack for teen skin has super-sized samples of the products we recommended in our post. The samples have 2+ weeks of product in there, so you get a really good chance to give them a good test drive before going all in for the full sized products. Plus the sample pack comes with free shipping and a $10 next purchase voucher (winning!). Get the teen sample pack here. Do you have any questions about tween or teen skin that we haven’t answered? Let us know!